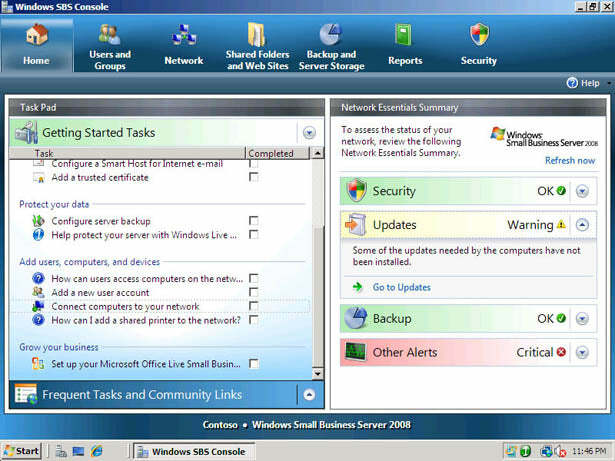 Windows Small Business Server 2008 is an all-in-one server solution designed to help you keep your data more secure and your company more productive. 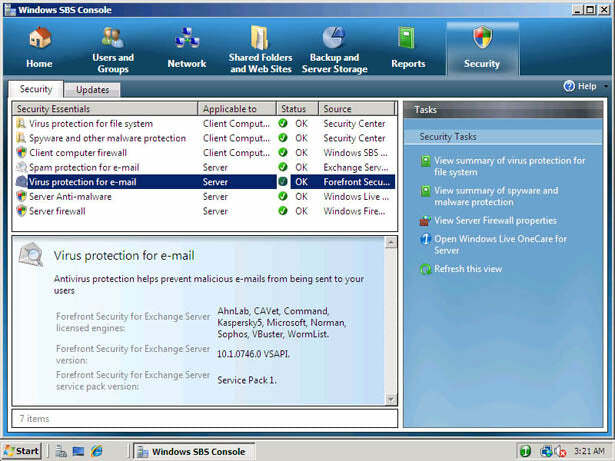 It provides many of the features used by larger companies, such as e-mail, Internet connectivity, internal Web sites, remote access, support for mobile devices, file and printer sharing, backup, and restore all at one affordable price. Enjoy compatibility and scalability. 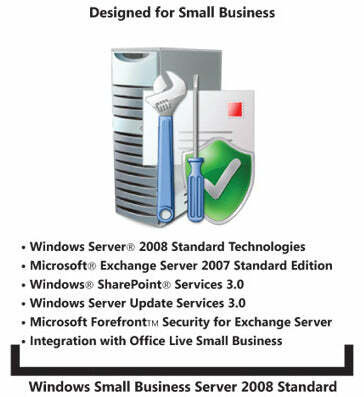 As your business needs change, Windows Small Business Server 2008 can change with you easily add users, servers, and applications, or expand into other Microsoft technologies. 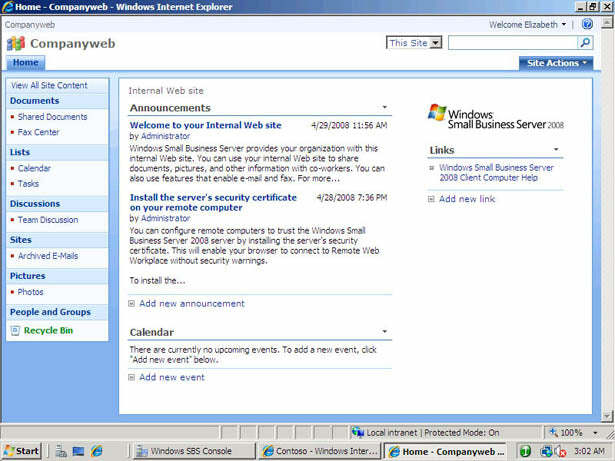 Windows Small Business Server 2008 gives you highly secure access to business contacts, calendars, e-mail, files, and other important desktop resources from any Internet-connected computer, virtually anywhere at any time, so you can be productive while youre away from the office or on the road. Connect with customers, vendors, and suppliers easily and professionally, with access to contacts, appointments, and files from any Internet-connected computer or a Windows Mobilepowered smartphone, so you can be responsive even when you are away from the office. Create a bigger business presence with online marketing tools from Microsoft Office Live Services Small Business, so you can differentiate your business and present a more professional image to your customers.